Marjorie L. Thompson, 76, of Elkhart, passed away Monday, April 1, at Elkhart General Hospital following an extended illness. She was born November 20, 1942 in Harrisburg, Pennsylvania to the late Robert and Amy (Perry) Spear Sr.
She married John “Jack” W. Thompson Sr. on June 23, 1962 in Irwin, Penn. ; He died August 17, 2013. Surviving are her four sons, John W. Thompson Jr., Timothy (Carla) Thompson, Steven (Tracy) Thompson and Bruce Thompson; 9 grandchildren; two brothers Robert Spear Jr. and Timothy (Beth) Spear. In addition to her parents and husband, two brothers, Charles and Jack Spear preceded her in death. Marjorie was a loving homemaker, raising her 4 sons while enjoying spending time with family and grandchildren. She then went to work at Elkhart General Hospital. She was a very active member of the First Congregational Church. 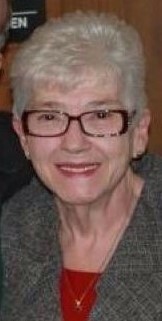 She was an avid reader and enjoyed watching NCIS and cooking shows. Funeral services for Marjorie will begin at 1:00 p.m. Saturday, with visitation starting at 11:00 a.m. at the First Congregational Church, 431 S. 3rd. St. Elkhart. Pastor Elizabeth Harbin will officiate. Private family burial will follow at Yellow Creek Mennonite Cemetery, Goshen. The family kindly request donations to help with expenses. Arrangements are under the care and direction of Billings Funeral Home. 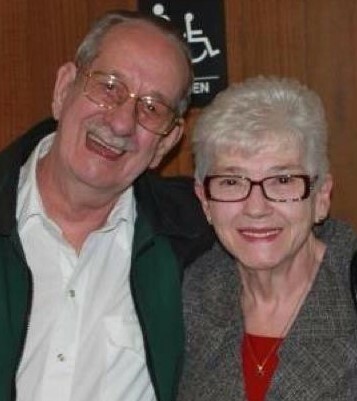 Please visit the funeral website to share condolences with Marjorie’s family.